The accounting firm of Leone, McDonnell & Roberts, PA has served clients since 1973, operating from five offices in New Hampshire. When they decided to change from a nationally-based sales and service provider to a local company, Formax was there to help, supplying mailing systems and MFPs to each of their locations in Wolfeboro, Dover, North Conway, Stratham and Concord. 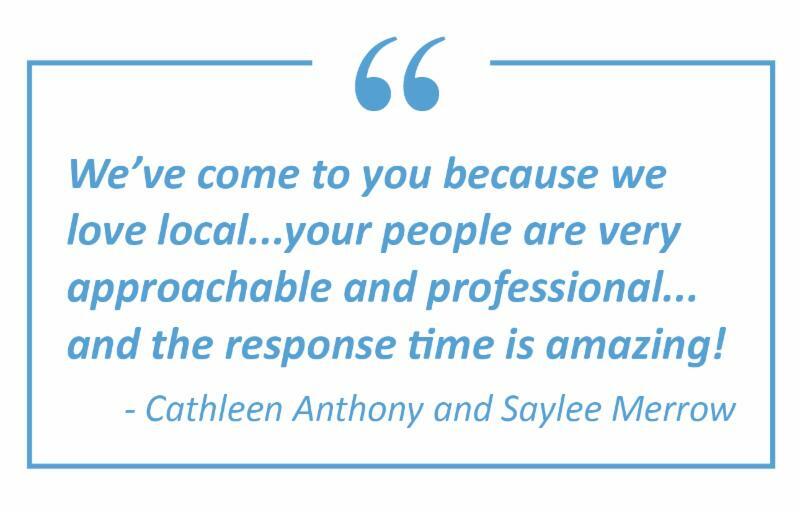 We recently had the pleasure to chat with Office Manager Saylee Merrow and Firm Administrator Cathleen Anthony at their original office in Wolfeboro. They described the challenges with former equipment providers, and how Formax raised the bar as their single-source provider of sales and service for MFPs and mail machines. With their nationally-based provider, they couldn't get the quick response to service calls that they needed. Cathleen also said their experience with customer service and billing departments was less than ideal, so a change was in order. After requesting bids from various companies, they chose Formax. "It was the appeal of Formax being local," Cathleen said, "it just seemed like a good fit." The firm initially purchased Sharp MFPs through Formax, and following this positive experience, they decided to swap out their old mail machines to Neopost Mailing Systems from Formax as well. Saylee and Cathleen said calling in for support has been easy, with friendly technicians and customer service. Saylee said, "Your service technicians look professional and work until the problem is fixed to our satisfaction, and the response time is amazing!" Since installation, Formax sales reps return periodically to provide on-site training to the office staff to ensure their needs are being met. As a company in business for many decades, with a legal responsibility to retain documents for a specified time, it's easy to imagine how their office was overwhelmed with paper files. And in a historic old building, the files in the attic were literally putting a strain on the structure. Past attempts at converting to electronic files had been unsuccessful, Cathleen told us. Formax suggested Sharp MFPs, including the MX5070N, and thanks to document scanning capabilities they can finally reduce their paper files. 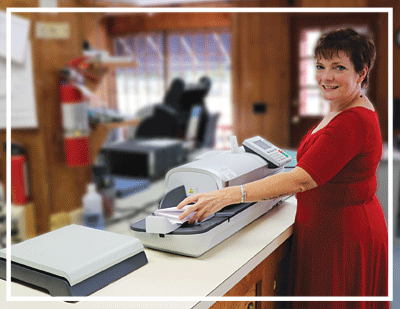 The benefits of scanning go beyond their Wolfeboro office. 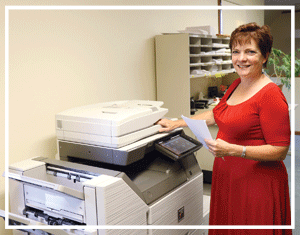 With the ability to scan to Network Folders, staff are now able to access documents between all five locations. "That's key," Cathleen said, "because now our accountants aren't stuck in one location to finish a job. They can manage a few jobs at once because they have access to all the files wherever they are," eliminating the need to travel between offices to access information. The Sharp MFP customizable touchscreen also allows them to set up individual machines to fit the needs of each office. In addition to accounts payable and monthly statements, each office periodically sends 400-500 large envelopes to their clients. The envelopes have a variable number of documents within, so the weights fluctuate. With their old mail machine, they had to weigh each piece individually and calculate the postage, Cathleen said. With their Neopost IN600 and its Differential Weighing feature, they simply stack the mixed-weight envelopes on the scale and the IN600 does the rest, weighing and calculating the postage automatically. "Differential Weighing will be a real time saver for us," she said. Both Cathleen and Saylee said they appreciate the time and effort put forth by the Formax sales and service staff. "Your people are very approachable, everyone's been great," they said. "We've come to you because we love local, and we'd absolutely recommend Formax."